James Staten was appointed senior vice president, finance, and chief financial officer in January 2016. Reporting directly to the president, he oversees a wide range of financial operations for USC, including budget and planning, treasury services, the university comptroller, financial and business services, Keck Medicine of USC finances, capital construction and facilities management services, and information technology services. 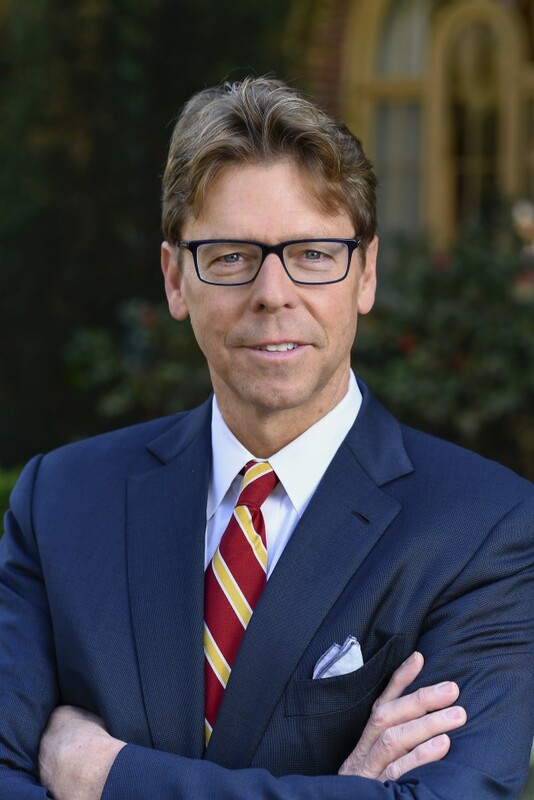 Staten comes to USC from the Yale New Haven Health System, where he has served as a key member of the president and CEO’s leadership team for more than 15 years. He held the titles of executive vice president and chief financial officer for Yale New Haven Health System; treasurer of the boards of Yale New Haven Health System and Yale-New Haven Hospital; and chairman of the board of Medical Center Insurance Company. Under Staten’s leadership, Yale New Haven Health System and its hospitals and related businesses remained exceptionally strong, as he built a financial planning infrastructure, robust revenue cycle, and treasury functions that allowed the entire enterprise to flourish, while increasing access to health care for patients throughout the region. Among his many accomplishments at Yale New Haven, Staten led organizational transformations that included launches of system-wide information technology (Epic) and data analytics, as well as cultural integration activities. In consultation with his colleagues, he helped develop all health care strategies for the Health System, including overseeing the formation of a large physician foundation and developing visionary strategies for acquiring physicians. Additionally, he managed the critical financing that led to the successful opening of the Smilow Cancer Hospital at Yale-New Haven in 2010, and the development and execution of all managed care contracting strategies, including those related to Yale New Haven Health System’s emerging population health organization, known as Total Health. Prior to his arrival at Yale New Haven Health, Staten served as senior vice president of finance at New York-Presbyterian Hospital and New York-Presbyterian Health System, where he was responsible for assuring the organization’s financial viability. Before assuming that role, he served as the organization’s vice president of financial planning. Earlier in his career, he directed Ernst & Young’s NYS Revenue Cycle Consulting Services, and was a partner at Pannell Kerr Forster, which, at the time, ranked among the largest public accounting firms in the United States. Staten holds a bachelor’s degree in business and economics from the State University College of New York, and has served as a board member of The Country School in Madison, Connecticut, as well as on the finance committee for the Connecticut Hospital Association.